American country music singer, songwriter and musician as well as a film actor. He is known for such hits as “Me and Bobby McGee”, “For the Good Times”, “Sunday Mornin’ Comin’ Down”, and “Help Me Make It Through the Night”. 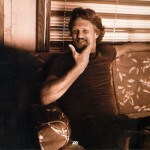 Kristofferson is the sole writer of most of his songs, and he has collaborated with various other figures of the Nashville scene such as Shel Silverstein. In 1985, Kristofferson joined fellow country artists Waylon Jennings, Willie Nelson and Johnny Cash in forming the country music supergroup “The Highwaymen”. In 2004 Kristofferson was inducted into the Country Music Hall of Fame. Cynthia Ann Stephanie “Cyndi” Lauper (born June 22, 1953) American singer-songwriter, actress whose career has spanned over four decades. 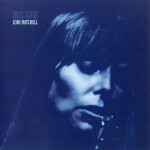 Her debut solo album She’s So Unusual (1983) was an instant commercial success. The album was the first debut female album to chart four top-five hits on the Billboard Hot 100—”Girls Just Want to Have Fun,” “Time After Time,” “She Bop,” and “All Through the Night,” earning Lauper the Best New Artist award at the 27th Grammy Awards in 1985. 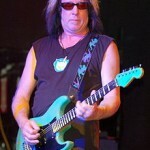 Todd Harry Rundgren (born June 22, 1948) American multi-instrumentalist, songwriter, and record producer. Hailed in the early stage of his career as a new pop star, supported by the certified gold solo double LP Something/Anything? in 1972, his career has produced a diverse range of recordings, both as a solo artist and as a member of the band Utopia. 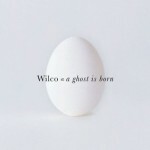 He has also been prolific as a producer and engineer on the recorded work of other musicians.